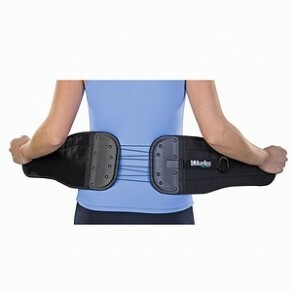 The powerful back and abdominal support offers relief from lower back pain, weakness, and fatigue. This unique cinching brace with pull-strap is designed for one-handed tightening for instant abdominal compression and lumbar support. The smooth and comfortable plastic panels provide support to weak lower back muscles while helping maintain healthy posture and alignment.